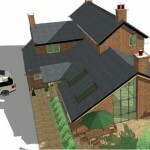 Project Expansion & alterations to an existing historic farmhouse to provide improved living accommodation. 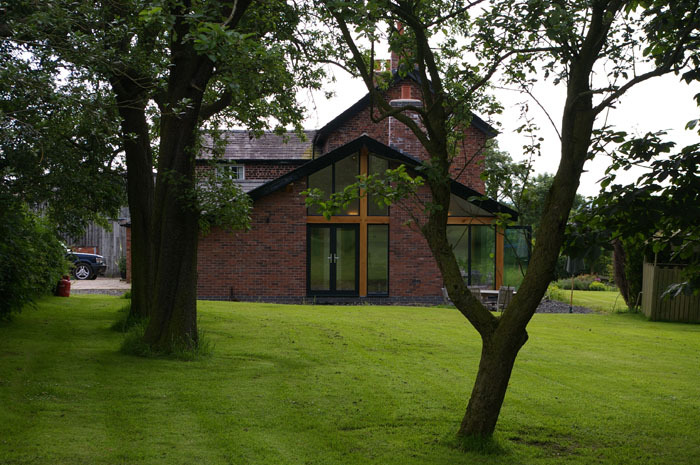 Planning A locally listed building on a prominent site , in North Cheshire Green Belt requiring the sensitive integration with a much expanded and altered existing farm complex. 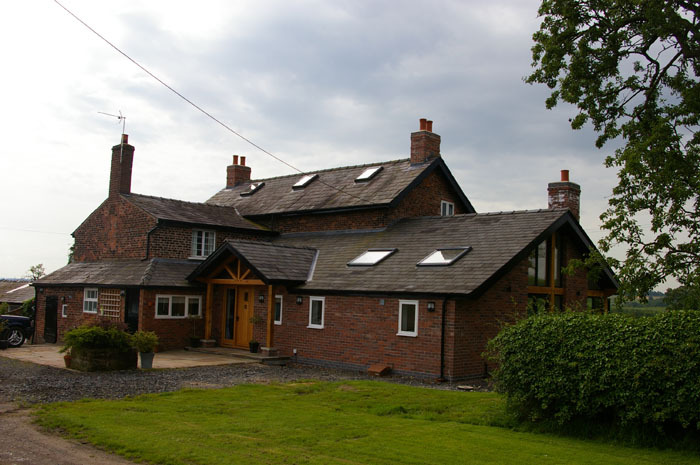 Construction Traditional masonry and oak framed construction with natural slate timber roof. 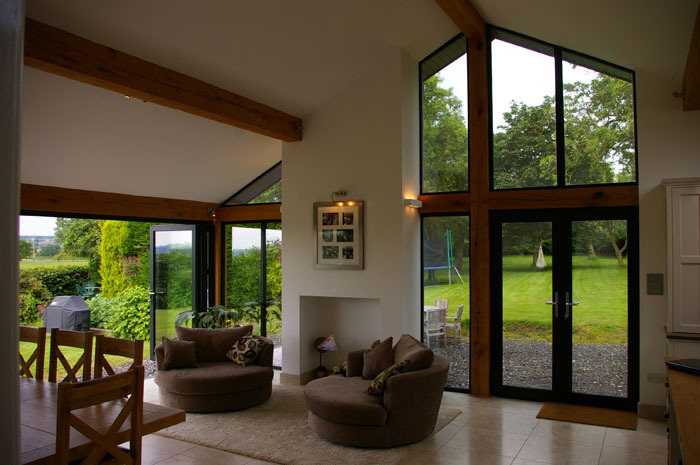 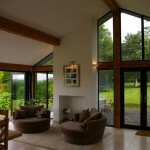 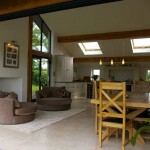 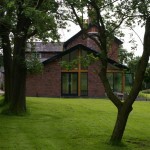 ‘’We started working with FOB to discuss gaining planning permission for a conservatory to the side of the farmhouse. 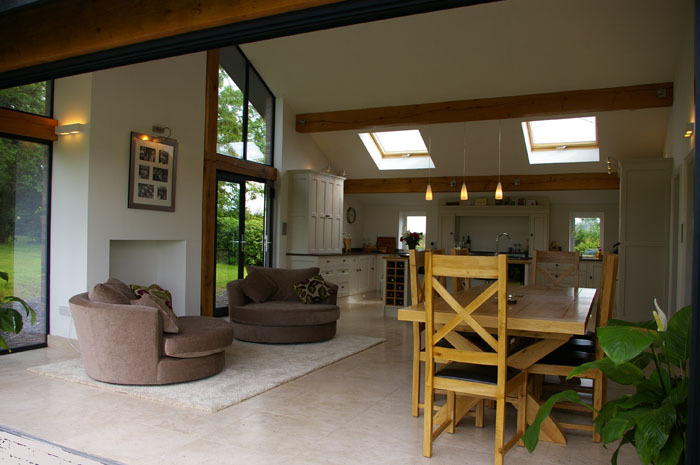 FOB developed our ideas and also put forward alternative options that could radically transform the dwelling and gardens within the same budget. 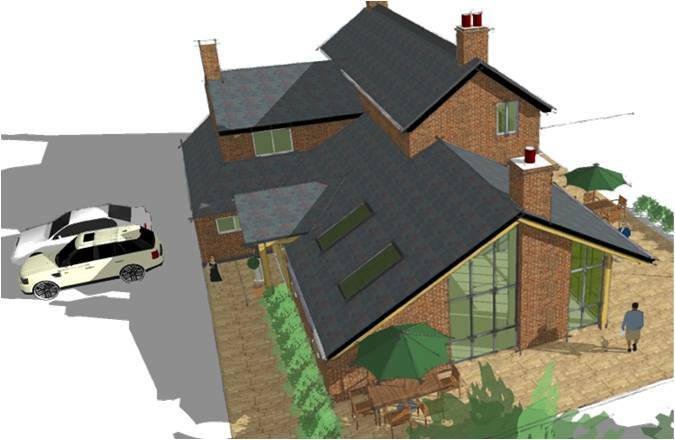 FOB’s approach, using models and 3D view s, allowed us to see what we were getting and make decisions. 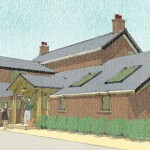 Most of the work was self-build as so FOB detailed the works so that it could be easily constructed in packages. 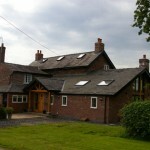 The main building work has recently completed and has completely changed the way we live and use the farmhouse.